Hello Readers, Today we got a chance to hear from Rahul Kuntala who blog @LearnBlogTips.com. Read blogging journey of Rahul Kuntala to improve your blogging and writing. Please share something about you and your blogging journey? Tell us about all your blogs. 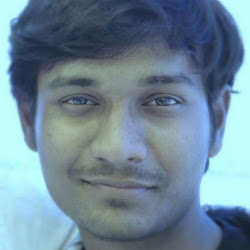 Hi, I’m Rahul Kuntala, a computer science graduate turned into a full-time blogger. I started blogging in 2007, made so many mistakes since then, and learning from my mistakes. If you’re new to blogging, make mistakes, but don’t repeat! Mistakes are part of success. Yaro Starak. Yaro knows how to make money online without selling soul. Here’s what it looks like. But I don’t always follow this routine, I go out and have fun for weeks whenever I like. And yea, I believe that “The person that works the hardest wins”. I don’t write about technology, I write about content marketing, email marketing and blogging productivity. In short, my blog is made for people who love to make money blogging from their couches without quitting jobs. I don’t use any editing tools. I write and proof read a lot! My suggestion to flawless writing is this: read and write a lot. The 100th post you write will be definitely better than your 1st post. Practice matters a lot. Is blogging a full time occupation for you these days? Please explain. Yes. Once I started making decent income from blogging, I turned into a full-time blogger. Loving it so far! I started making money by flipping websites. Then, added “freelance writing” to my income stream. Now, I use couple of income streams such as blog coaching, ghost writing, affiliate marketing etc. to grow my blogging income. Readers are SEO. Without having user interaction, getting traffic to any blog is a big waste of time. Focus on readers, learn to make them raving fans. You’ll notice the best results sooner or later. Social media is the BEST way to build loyal fans. In fact, it’s the single most important factor that helped me grow my online businesses. But make sure to realize this point “make social media work for you, not against you”. I see so many people spending their precious time on social media sites just to post random stuff, don’t waste your time! Yes, I always love to interact with NEW people, especially newbies. The best way to connect with me is through email. I sold a website for $200 in 2009 (if I can recall it correctly). It was my first income online. I also used few online forums to make few bucks when I was new to online world. It helped me enhance my writing skills than my income. As I said already, my income sources are: freelance writing, affiliates, blog coaching and website flipping. And I’m soon planning to launch a premium membership site for bloggers to make extra money. I get enough traffic to make decent income. What is the right age of a blog to start earning from that? Day 1 if you know the “art of selling”. In other words, if you’re a marketer. After 1 or 2 years, if you’re a noob! Here’s the tip: don’t focus on money, focus on people. Focus on helping people rather than helping yourself to make money. From the day you are back, regularly reading articles related to you. 🙂 As like others, here also I learned few things from your side. Hey thanks dude! It’s always my pleasure 🙂 Keep in touch. Hey Rahul I am really impressed by your work buddy !!!!!! I am also a blogger & just giving my best in blogging , I just breathe my day with SEO & blogging. A quick tip: declutter your blog design to get more conversions! And create a “focused” tagline, instead of “blogging and SEO tips”. A simple question to be a better blogger: why should I read your blog? Good luck! And Thanks Tanya (aka Yogita) for featuring me, glad. Great to See bloggers from India and good no. of people are interviewed on this blog. Give a try for Premium themes at themeforest and get good conversion rates. Btw, one suggestion I wanted to make: The grouping of the comments section looks too cluttered. Would be nice if you could correct it. Also many thanks for the feedback, Yup i know i need to work on that. Just need some time. Thanks a lot. @tanya For sharing my blogging “GURU” interview i.e. The Rahul kauntala. I love to share their named as Indian copyblogger. I am glad to have fan of @Rahul Kuntala here. Thanks Anubhav for the valuable words.